Digitalization Conquers Global Chemical Sales, Are You Ready? In the age of digitization Chemical Distribution is facing new challenge. International trading platform like Alibaba and Amazon Business are changing the rules. Now, the German start up Pinpools has created an independent B2B platform to connect chemical business. Digitalization is affecting the chemical industry in a way never seen before. All the industry can do is try to keep up with the development and improve the innovation in order to survive with the growing competition in the global market. 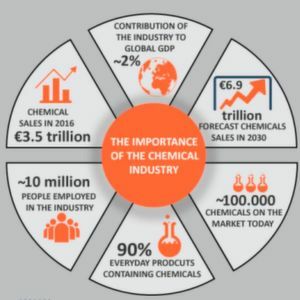 European Chemical Industry Council states the industry is one of the largest globally and the European market is estimated to reach 6.9 trillion Euro by 2030. Due to the digitalization, worldwide business is only going to expand even more as new opportunities of digitalization are founded and globalization becomes easier. The Millennials are changing the work methods and the way of doing business, since it is possible to reach any person or product at any minute. They input this mindset their working methods and expect to receive the same, fast and smart solutions, also as customers. It is going to be a challenge for chemical industry because of its huge size and the slow ability to adapt for transformation. Until now, the industry has been dominated by big global leaders, but the change is about to happen: the customers are slowly taking over the power on what, how, and when they want to buy chemicals. According to the research done by Roland Berger and Google Deutschland, 60 % of almost 3,000 B2B sales managers thinks that digitalization is critical success factor. As the huge percentage states, the action towards digitalization has to be done in order to survive from the competition, which isn’t restricted anymore only for domestic markets and competitors. Pinpools has the power of being the only independent platform in Europe offering B2B marketplace to buy and sell chemicals, which reminds the importance of the four steps to the chemical digital transformation. The organization mindset needs to be changed to strength the key areas such as cybersecurity, regulatory and policy issues. These two factors, fresh mindset and stronger key areas, are going to help using advanced technology, for example cloud services and big data analytics. They are going to also improve continuous development of data management, process optimization, innovation, and better supply chain management. 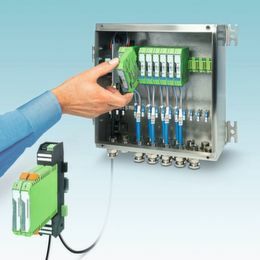 The founders of Pinpools, Alexander and Heribert-Josef Lakemeyer, saw the opportunity of digitalization for the chemical industry and created an independent B2B platform to connect businesses. With this faster and more efficient mindset of doing chemical sales, the start-up took a chance of advanced technology and went online in May 2017. After that, there has been continuous strong development and it is an ongoing process as the company keeps expanding the market. Now that the power of purchasing has shifted from global chemical leader companies to the customers, the companies need to be even more aware of global megatrends affecting to customer behavior and decision making. These trends define what kind of digital platforms the chemical suppliers and buyers should be aware of in order to secure the growth of their business. In the future with the digital opportunities, innovation is going to be taken into the next level. Pre-management and planning ahead are going to get easier with new platforms, which helps the companies to save costs when more efficient business customs can be implemented. Saving time and money by using Pinpools B2B marketplace helps the chemical suppliers and buyers to grow their business network. The marketplace offers a chance to approach multiple companies faster than ever before, by posting Request for Quotations to get the suppliers to contact with the best prices. Pinpools offers cost-effective solution to use the platform with low costs as a supplier, for the buyer it’s completely free. Smart data management and more secure supply chain will help the chemical company to take the utility of digital transformation. Being able to have transparent information, buyers and supplier are able to see each other, is going to improve the security level for both sides. More effective and functional cloud services it is possible to transfer the data quicker with different digital platforms, but the downfall is the increased risks in data security. If the digital information is not protected well enough, there is a chance of someone having the access to the files. Such problems can happen within the platform, good example from German Cartel Office recently had an investigation on Amazon. However, digital B2B marketplace Pinpools values the privacy of its customers and makes sure the data is safe on the platform. The trust factor provided by Pinpools is the transparency that allows the buyer and supplier to see each other information when doing business on the platform. 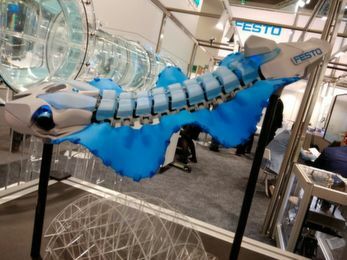 As listed on Digitalization in the Chemical Industry, the future holds four upcoming benefits with digitalization. With good level of pre-management and planning ahead, that are easier done due to the digital channels, the process of operating and planning is going to improve. Setting long term goals helps to invest the money to more valuable parts of the business and reduce the unnecessary costs. Long term plan improves the level of commitment in the organization, because bring the employees together with the same kind of a mindset. With digital platforms and programs, it is easier to follow and keep in track of the progress, which motivates the organization to analyze the development and focus on areas that needs to be improved. Productivity is one of the key terms for today’s high level of competition, since the companies aim for maximal work efficiency with minimalized costs. With new efficient methods and more efficient machines, the companies will save time and labor costs to increase the level of productivity. The chemical supplier’s and buyer’s productivity with Pinpools platform will increase due to the digital B2B marketplace opportunity. Less time is needed to contact the business partners and, because all the relevant information is available on the same website with low costs. The previous challenges with supply chain management will have better opportunities in the future, since there has been a lack of development. 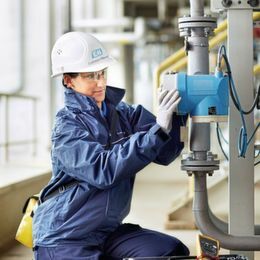 Digitalization is going to help with improving the accuracy of scheduling, reliability, transparency and collaboration between the chemical business partners. The logistics is going to have new solutions which make the transportation faster in a global level and increase the level of import and export. Last but not least, the future opportunity of innovation is going to play even more important role of the development. Without innovation, the old habits are not going to change and therefore new opportunities are missed out. Innovation is an important factor to stand out from the competitors and adapt to customer needs in order to reach new levels of doing business.